When you are injured and need an attorney, it’s hard to know where to turn. 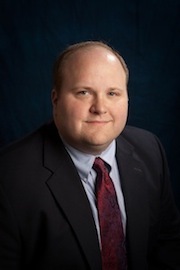 You should meet Scott Gray, Chief of the Personal Injury Division at Guest and Gray Law Firm. Scott Gray has the law in his blood. As the son of a successful local attorney, Scott spent his formative years in and around his father’s law practice. This unique perspective allowed Scott to witness firsthand the high level of dedication and client service necessary to build and maintain a thriving legal career. Scott admired his father’s work, particularly how Mr. Gray used his skills as an attorney to help guide members of the community through some of their most difficult times. When it became time for Scott to choose a career, his decision was easy. He was determined to follow in his father’s footsteps by establishing a law practice of his own in the community he loves. After successfully earning his bachelor of science from Texas Tech University in Lubbock, Scott was ready to return to the Dallas-Fort Worth Metroplex. He decided to attend Texas Wesleyan School of Law in Fort Worth, earning his juris doctor in 2003. After law school, Scott worked for several years as Assistant District Attorney in the Grayson County District Attorney’s Office. While serving as a prosecutor, Scott gained a comprehensive understanding of the inner workings of the justice system. In 2006, Scott accomplished his goal of opening his own office in Forney, TX. Since that time, Guest and Gray Law Firm has developed into one of the largest and most respected practices in Kaufman County. Scott couldn’t be happier to be living in his home town and serving the people of the community, just as his father had for decades before him. When he is not serving his clients, Scott enjoys traveling with his wife Tracy, golf, fly fishing, and following his beloved Red Raiders, Cowboys, Rangers, and Mavs. Today Scott uses his extensive knowledge of the local legal system to advocate for his personal injury clients as they seek to assert their legal right to retribution for the conduct of others. We invite you to contact Guest and Gray Law Firm today to discuss your personal injury case. Scott and his team of legal experts are ready to fight to ensure that you receive all the compensation to which you are entitled, allowing you to focus on moving forward with the rest of your life.